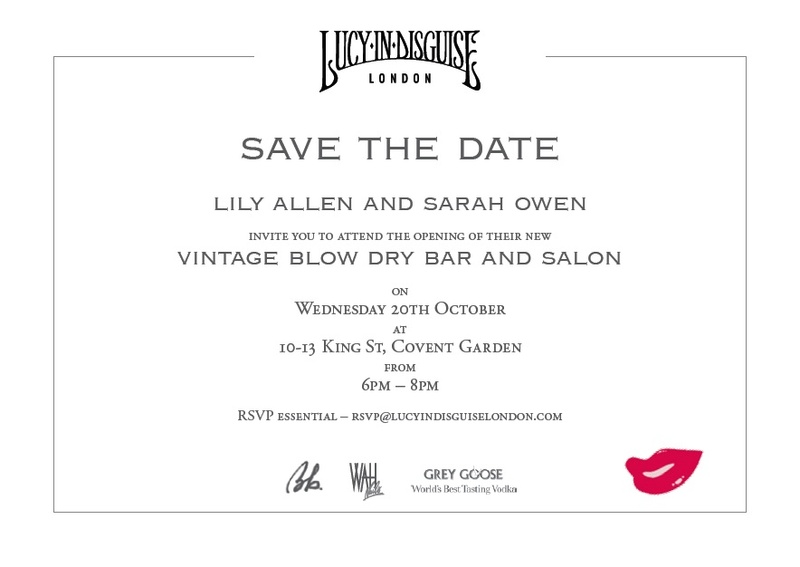 Yesterday saw the launch of Lucy in Disguise’s [Lily Allen and her sister Sarah Owen’s new vintage store in London’s Covent Garden] stylist make-up and blow-dry bar. Claire – one of our fabulous make-up artists who only last month created a look for Erin O’Connor – went down to meet with Lily and Sarah and create their looks for the expectant press who had come to discuss the new hangout in the basement of Lucy in Disguise. After the press appointments, Lily Allen and her baby bump [congratulations, Lily!] headed home whilst the party started with the likes of Jaime Winstone supping on some gorgeous cocktails courtesy of the built-in Grey Goose bar [nice touch, ladies] and the Illamasqua team fighting over Ossie Clark jumpsuits! Our make-up looks on offer were categorised by era: 1940s, 1950s, 1960s and 1970s with the 70s definitely being the most popular! Claire worked her magic on a number of party guests who then headed to the Bumble and Bumble blow-dry bars and the Wah! Nails [who were of course using Illamasqua Nail Varnish as their brand of choice]. The concept is unique and the experience promises luxe, girlie heaven. The bar with it’s ever-open bar, the relaxing sofas and amazing collection of vintage Vogue magazines create an aura of indulgence. Lucy In Disguise will be offering party packages for the full treatment of Illamasqua make-up lesson, hair done and nails did, rent an outfit for the night and get ready for the night ahead… right in the centre of London!